These are 20-line buttons showing the front and back views. 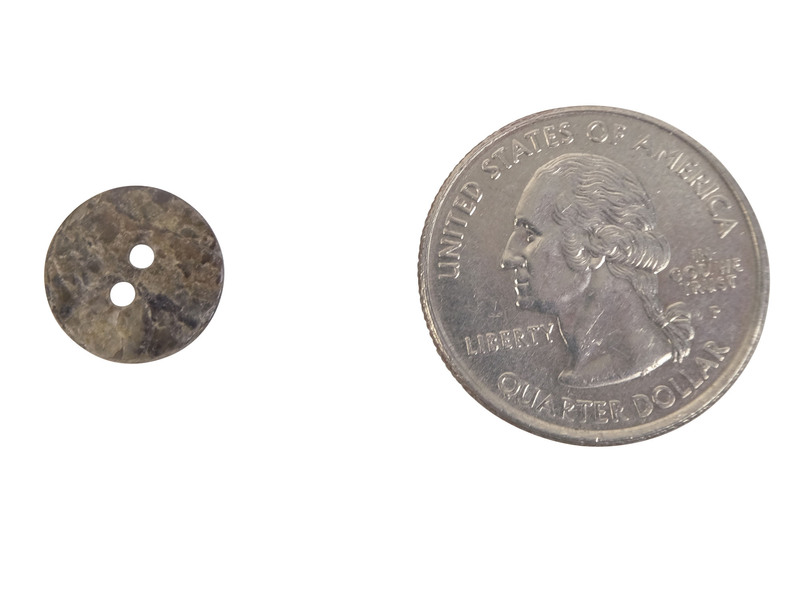 See a button with a quarter for size comparison. 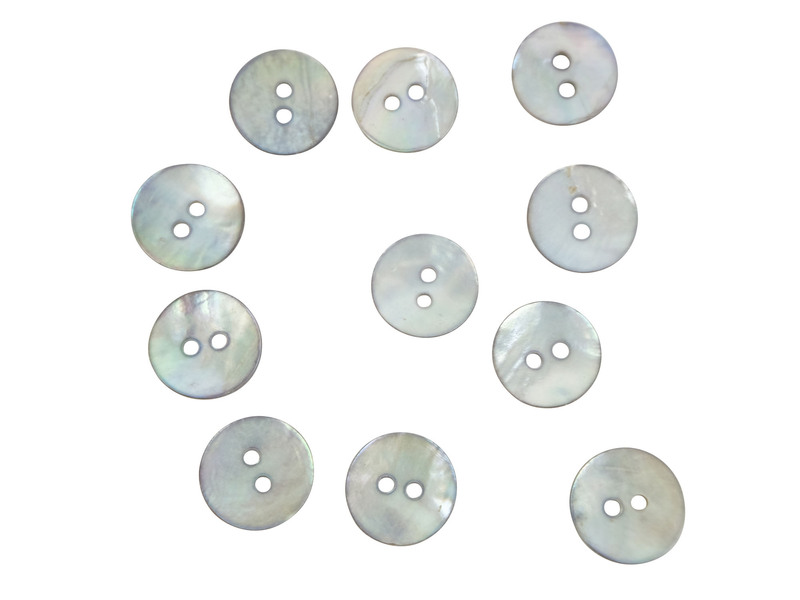 These shell buttons are made from saltwater mother of pearl. They have two holes. 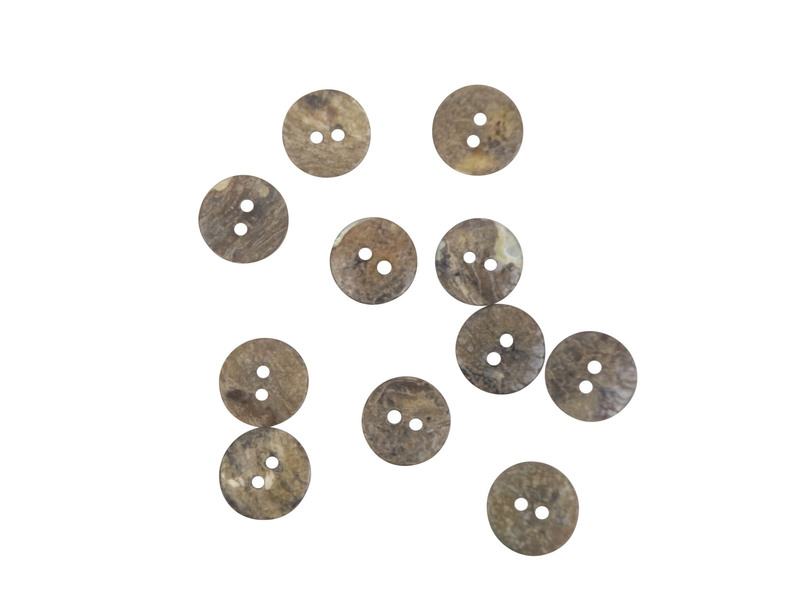 They have been smoked to make them darker. They are sometimes called agoya shell buttons.